Matt Shepherd is one of the founding partners of MindPoint Group where he leads the development of security solutions for clients. Under his direction, MindPoint Group has received industry recognitions for Cloud Security, Agile Security Engineering and Security Architecture. 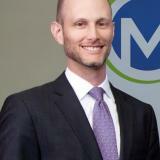 Matt has been providing management and technical leadership in IT and Information Security since 1999. He has subject matter expertise in Security Architecture and Engineering, Cloud Security, Security Operations, Penetration Testing as well as Governance, Risk and Compliance. Matt is a strong advocate for security solutions that enable agile cybersecurity. He has been a contributing author or technical editor for several security books, and is a member of the CFCP Exam Advisory Board.